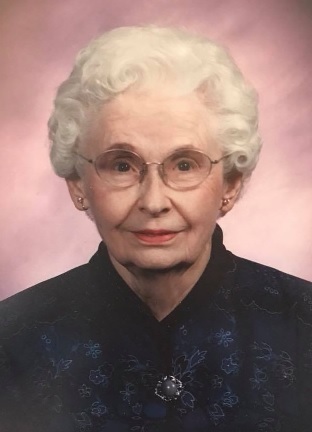 Frances Rutherford, age 91, of Horse Cave, passed away Wednesday, March 14, 2018, at T.J. Samson Community Hospital. She was a native of Barren County and long-time member and Sunday School teacher at Horse Cave Baptist Church. She was co-owner/operator of Shorty’s T.V. and enjoyed cooking for her family. She is preceded in death by her husband, Lloyd “Shorty” Rutherford; her parents, David and Ethel Jamison Reynolds; two brothers, George and Edward Reynolds; and two sisters, Ann Cannon and Elizabeth Herron. She is survived by three children, Stanley Rutherford & wife, Pat, of Chandler, TX, Linda Conver & husband, Leigh, of Louisville & David Rutherford & wife, Wanda, of Cave City; six grandchildren, Heather Mensch, Samuel Conver, Beth Taylor, Jon Conver, Leslie Brockelsby and Graham Rutherford; seven great-grandchildren; two brothers, Clint Reynolds & wife, Margie, of Bowling Green & Charles Reynolds & wife, Jean, Cave City. Funeral services will be held at 2 p.m. on Saturday, March 17, 2018, at Horse Cave Baptist Church under the direction of Winn Funeral Home with burial in the Evergreen Cemetery, Park City. Visitation at Winn Funeral Home from 3-8 p.m. on Friday and on Saturday morning from 10 a.m. until time of service at Horse Cave Baptist Church.